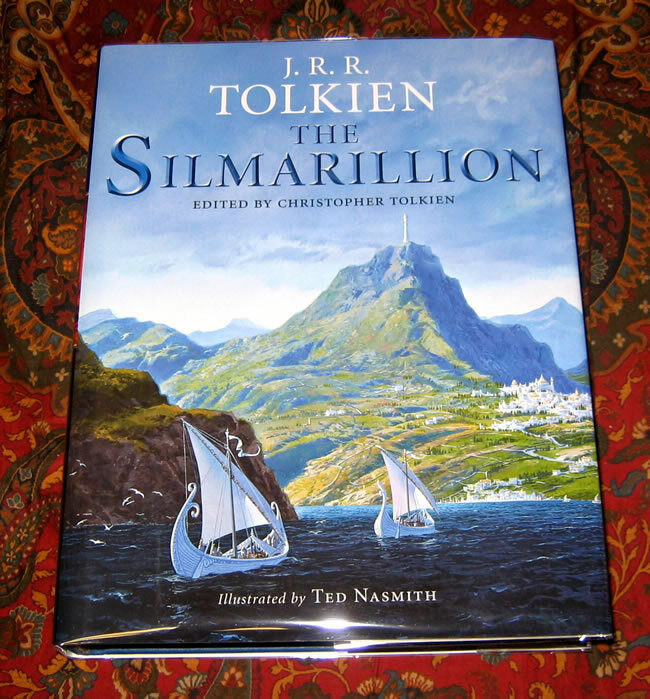 This book is unread, As New, opened only for the signing by the illustrator, Ted Nasmith. 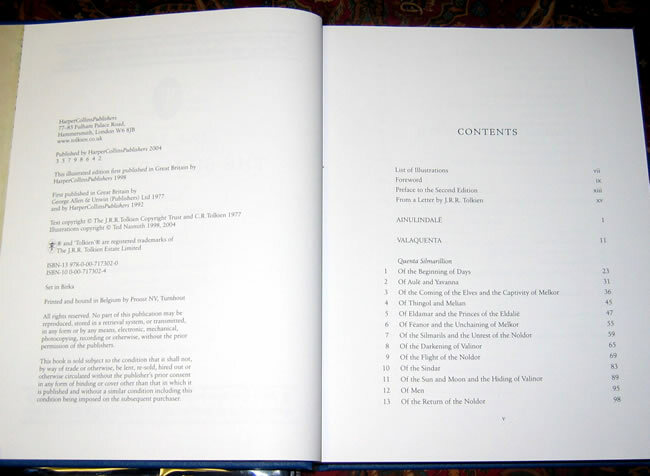 The Silmarillion by J.R.R Tolkien. 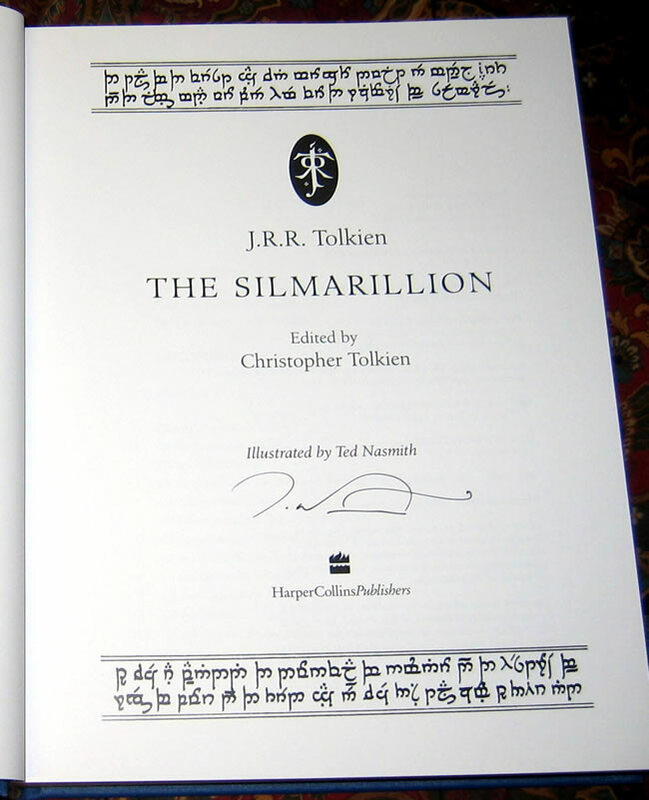 Edited by Christopher Tolkien after his fathers death. 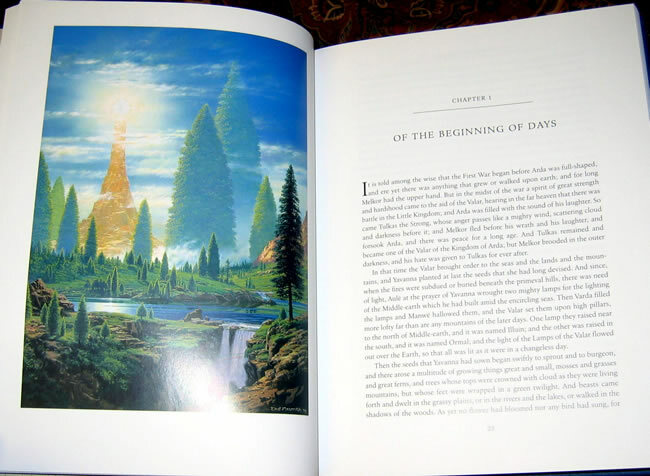 This new edition contains almost 50 full color illustrations, many of which were specially commissioned from artist Ted Nasmith, and appear for the first time. 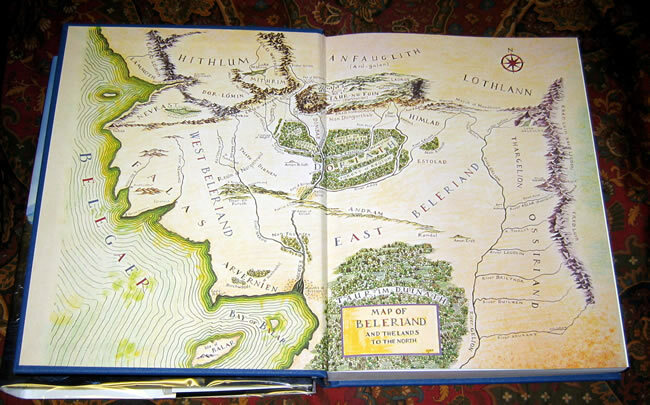 Ted Nasmith has signed this book to the title page, and included are some programs and misc related handouts from the signing event. J.R.R. 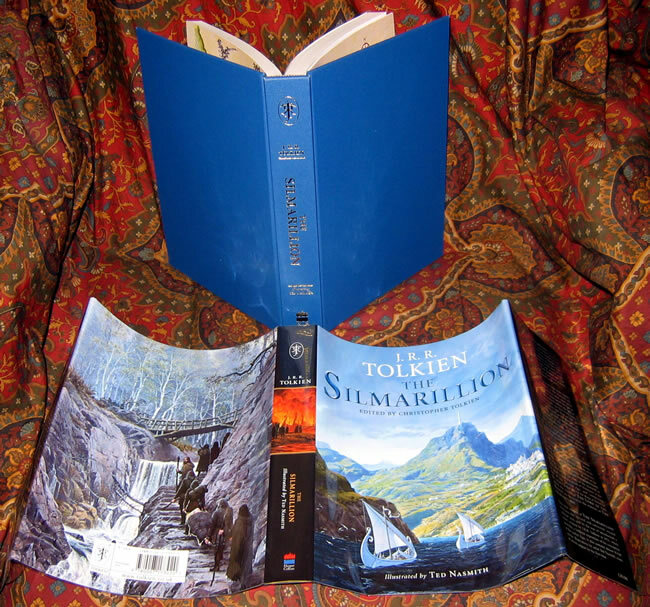 Tolkien's account of the Elder Days, the tales of the Silmarillion are legends deriving from a much deeper past, when Morgoth, the first Dark Lord, dwelt in Middle-Earth, and the High Elves made war upon him to recover the Silmarils. Originally published in 1977, 4 years after his death, Christopher Tolkien has gathered together and edited, what he considered his life's work.